During the Sting and Trudie Styler’s annual Rainforest Foundation Benefit. Bruce performs two tracks including Bryan Adams’ "Cuts Like A Knife" before joining an eclectic selection of performers on stage (Elton John, Lady Gaga, Sting, Shirley Bassey and Debbie Harry) for the final blowout – Journey’s "Don’t Stop Believin'". (The theme for the evening was "80s Nostalgia"). During the star-studded Closing Ceremony of the Invictus Games Toronto 2017. After a three-song solo acoustic set, he joins Bryan Adams for two more songs backed by Adams's band. Also on the bill are Cœur de pirate, Kelly Clarkson, Bryan Adams, and Bachman & Turner. 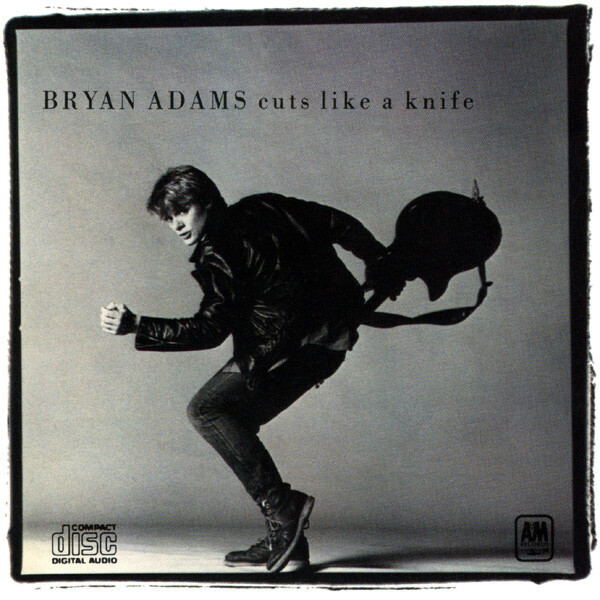 "Cuts Like a Knife" is a song by Canadian rock musician Bryan Adams. It was released in May 1983 as the second single from his third studio album Cuts Like a Knife (1983). "I think that I'm one of the world's best mumblers, I can mumble some of the best lyrics, but putting them together is another story. I think that's where Jim is really good -- he can piece a story together. It's just a good thing to have the tape rolling when you're recording me. The best example was when we wrote "Cuts Like A Knife," which was just literally a mumble. We looked at each other, rolled the tape back, and it sounded like "cuts like a knife," so we started singing that. " Intro to "Cuts Like a Knife"